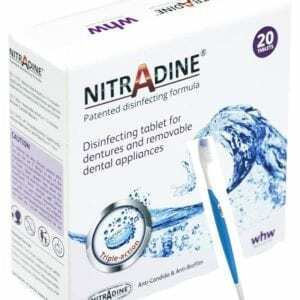 Home / Cleaning Products / Nitradine Disinfectant Tablets (pack of 20). 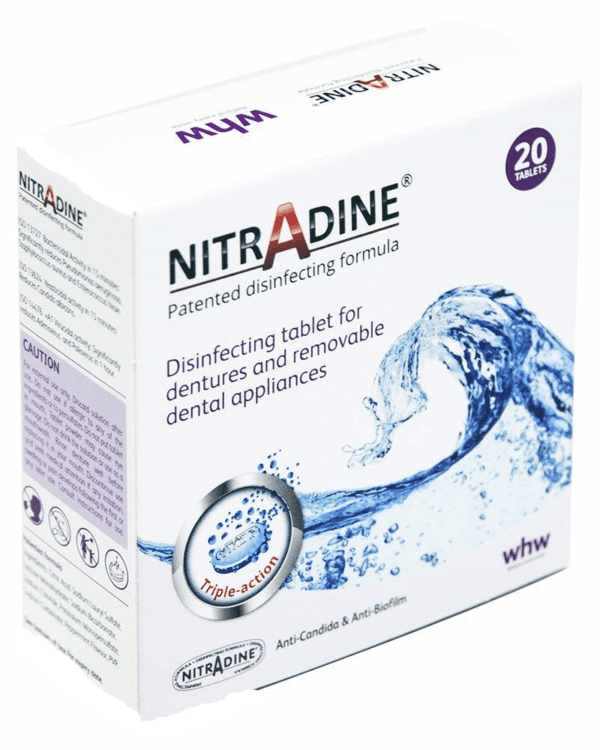 These are patented dissolving disinfectant tablets specially formulated for dental appliances and designed to penetrate into micro-porosities on the surface of your veneers or other appliance. Biofilm is a problem which can be difficult to eliminate without using a disinfectant. NITRADINE is fast working and scientifically proven to be highly effective at killing any pathogens and fungus lurking on your veneers. It does this by removing any biofilm from your dental product. NITRADINE is hypoallergenic. It does not corrode, discolour or distort your dental appliance. Fully compatible with clip-on veneers and all other removable dental appliances such as dentures, aligners, retainers, bite splints, acrylic, chrome and flexible dentures, retainers, Invisalign®, aligners, bite guards, snore guards, night guards, gum shields, and mandibular advancement devices. 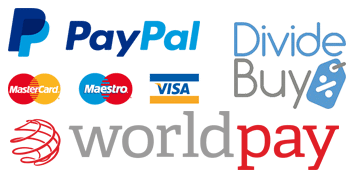 A survey of consumers reported that after only two uses, 85% of consumers noticed their dental appliance felt noticeably fresher and clean. Do not use hot water with veneers. Do not use ordinary tooth paste on veneers as normal tooth paste contains harsh abrasives. 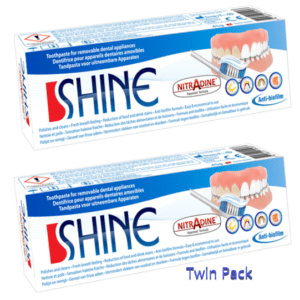 If you want to use a paste, we recommend NITRADINE SHINE. Twice a week Immerse each dental veneer in about 150ml of lukewarm water using a glass, Dent Spa or other suitable container. DO NOT USE HOT WATER. Use separate containers for each dental appliance you are cleaning eg if you have both upper and lower veneers you need two separate glasses. Do not share the use of disinfectant solution with other people or between different products. Place 1 tablet in each glass/ container. Leave your appliance in the disinfectant solution for 15 minutes to kill most bacteria and yeast (1 hour to eradicate most viruses). For intensive treatment use one tablet daily for each appliance for two weeks and after two weeks disinfect twice per week.